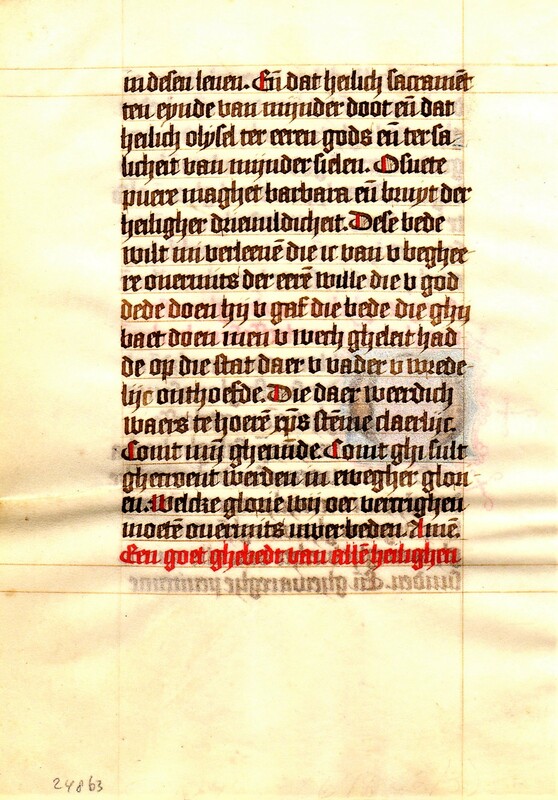 Folio from a Decorative Dutch Prayerbook. 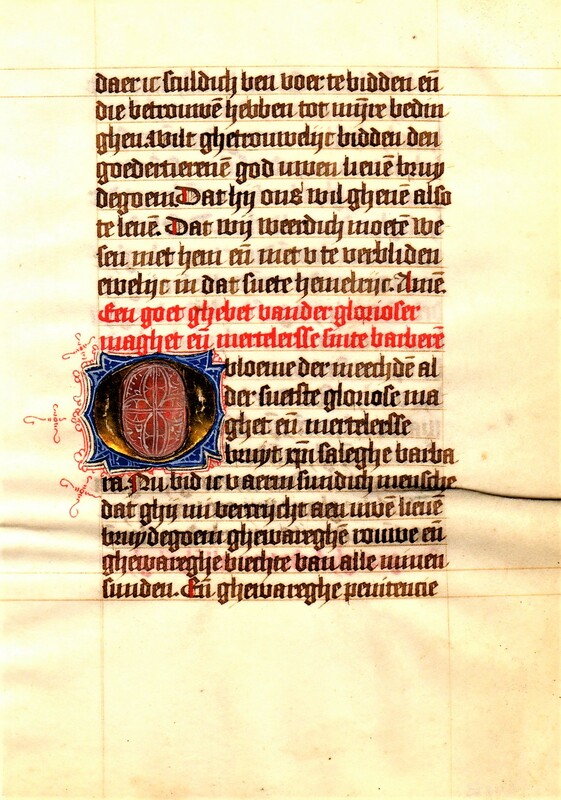 Single folio on vellum. The Netherlands, ca. 1475: 143 mm x 107 mm (justification, 104 mm x 62 mm). Single column, 22 lines. Decoration: four-line initial in coppery gold on blue and brick grounds with white and red penwork highlights, else rubricated. Text: It seems most likely that this leaf derives from a prayerbook rather than a Book of Hours. Contents: an entire prayer to SS. Margaret and Barbara (often combined in northern European prayerbooks) in Dutch. Condition: fresh, slightly cockled.